To have automatic birthday or anniversary occasion messages sent to members of your church, simply go to Settings > Communication > Occasions. 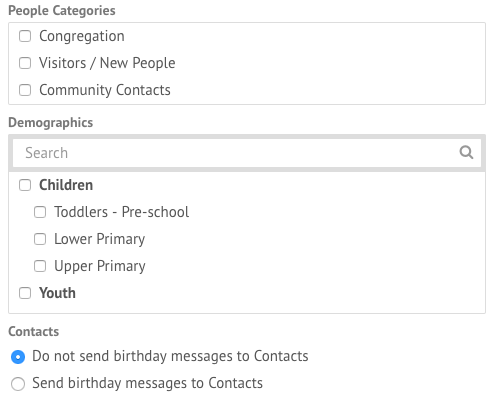 Within the settings you have options to filter who receives automated messages on their birthday or anniversary. 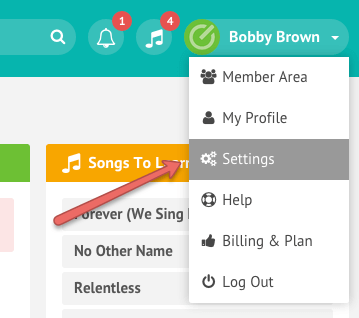 By default the messages are sent to all active members in your account. 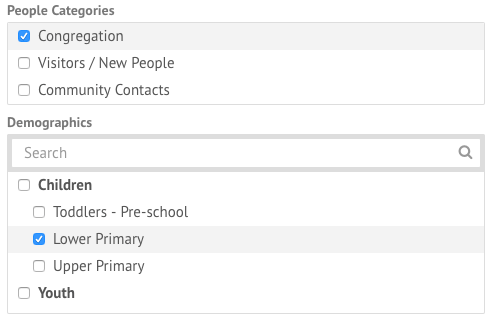 You can choose to filter by people category or demographic, and to send the messages to contacts as well or not. If you’ve applied filters to both demographics and people categories, individuals need to be both in one of the selected people categories and the selected demographics in order to be included. In the example below, only individuals in the “Lower Primary” demographic who are in the “Congregation” people category will receive messages. 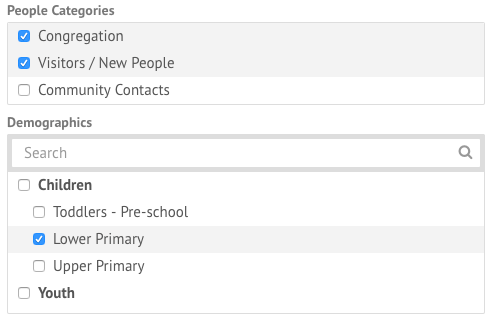 In this example, only individuals in the “Lower Primary” demographic who are in either “Congregation” or the “Visitors / New People” categories will receive messages. You can specify if you want to send out an email, an SMS or both. If you decide to send both, we offer a third option to only have SMS sent to people who don’t have an email address. This is useful to help reduce costs associated with sending out SMS. To change the content of the messages sent, you’ll need to edit the Built-in Contact Templates, under Settings > Built-in Contact Templates. If these extra requirements aren’t met, the anniversary messages will not be sent.